When it comes to name recognision in racing, Frankie Dettori has it in spades. He’s one of the most well known figures in the sport, due to both his achievements and time in the post. An Milan, Italian born jockey, his first equine introduction was at age 12 when his Father bought him a Pony. At just 13 he became a stable boy and the following year he came to the UK where he apprenticed for Luca Cumani. In 1990, and still a teenager Dettori rode 100 winners, a staggering achievement demonstrating wisdom and determination beyond his years. His list of big wins over the years has expanded to include everything but the kitchen sink. 1000 Guineas(x3), 2000 Guineas (x3), Ascot Gold Cup X5), Derby (x2), The Oaks (x4), the list goes on. His racing prowess isn’t limited to these shores either, he’s won everything from the Japan Cup and France’s Prix de l’Arc de Triomphe to the Breeder’s Cup Classic and Canadian International Stakes. He’s ridden over 3000 winners to date. Detorri’s most memorable achievement in the sport is coined the ‘Magnificent Seven’ and it refer to the September 1996 meeting where he won all seven races at the Ascot meeting. This is no mean feat, as one of those races was the Queen Elizabeth II stakes (a race Dettori has now won six times!). Of course as a man of some reputation, he has his followers/fan, some of whom had bet on all of his selections, and consequently a handful of payouts topped £100,000, and one over £500,000. Life changing money. The combined odds of the selections were 25,051-1. 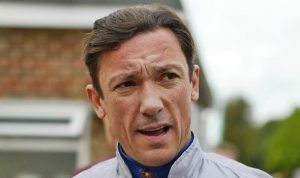 Frankie Dettori earns prize money of £2 milion plus a year and the enormity of his achievements and contribution to sport have results in him being awarded an MBE. He’s done it all and still has the same love for racing that he had when he started on this now much decorated career.